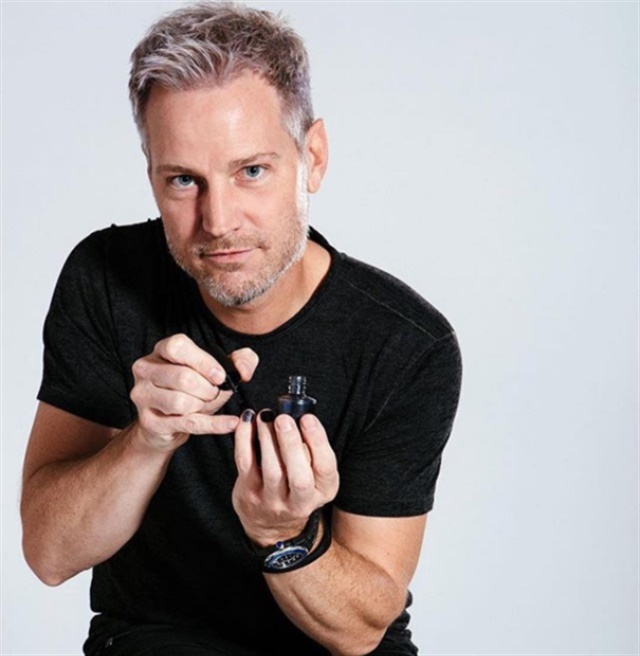 Tom Bachik has been announced as the new OPI Global Nail Ambassador during Wella Trend Vision 2017. Offering must-have manis to a glittering roster of celebrity clients including Jennifer Lopez, Heidi Klum, and Selena Gomez, Bachik can also be found backstage at fashion week presentations around the world, collaborating with designers on nail looks that complement their fashion, from toe to tip. Bachik’s artistic skill and passion first found an outlet as a graphic artist but as an in-demand artist, it is his nail design skills that, as he says, “pay the bills.” The world he travels in today, however, was a world that was completely foreign to him. Soon, with an agent secured, the work started to come in…but slowly. Nails still hadn’t moved front and center, holding a place as prominent as the hair and makeup to the model’s overall finished look. And today, with mani-cams on the red carpet, and millions of women holding standing nail appointments, Bachik says nails are, truly, on point.